Hey everyone! How's the weekend been going? Mine's been good so far! I just wanted to take a minute to let you guys know about the new products I'm testing out and will probably soon review, or include in tutorials. Maybelline Super Stay 24 hr. Makeup... Meet the latest long-wearing drugstore foundation! I've received dozens of requests to review this product. Some of my current favorite drugstore foundations (Revlon Colorsty & Rimmel Lasting Finish) claim to last 16 hours... this is the first time I've seen a foundation claim to last for 24 hours! Do you really want to wear a foundation that long? Is that even healthy for your skin? Probably not, but it's comforting to know that it could if you get in some sort of marathon-day situation. This foundation claims to have a "micro-flex forumula" that can withstand heat, sweat and humidity. It claims to be "zero-tranfer", oil-free, and suitable for all skin types. I will definitely let you know how this works for me! (by the way, the shade I purchased is Classic Beige). L'oreal Wear Infinite Eyeshadow in Milla's Blues... this isn't a new product- but I was scouring the drugstore a couple days ago to find a drugstore version of my Smashbox Glamour Eyes palette for brown eyes. I used that on Kalee when she made a guest appearance in one of my videos- and many of you asked what a drugstore version of that might be... I advised Kalee to pick up Physician's Formula Shimmer Strips shadow in Smokey Blue eyes- but this 4-pan palette seems very close to the Smashbox quad as well. I'll report back on this! Coastal Scents Loose Mineral Shadows... I'll see if these loose shadows live up to the fantastic pigmentation of the Coastal Scents palettes! As a whole, loose shadows have been kind of hit & miss for me, so we'll see if these pack a punch. Colors shown above: Flirt (pink) and Smoochie (plum). L'oreal Telescopic Explosion Mascara in Blackest Black... does this look familiar to anyone? It's definitely trying to be a drugstore dupe of Givenchy's Phenomen'Eyes mascara. I was intrigued by this little spherical mascara brush when that product came out, so when I saw it for 20 bucks less at the drugstore, I just had to give it a try. The smaller brush is supposed to allow you to get to your lashes easily at any angle. How well will it work? I'll test it out and let you know! If you've tried any of these products- please let me know what you think of them! It's journal time once again! Is it just me or did this weekend totally fly by? I've been feeling a little under the weather lately- so that stinks. Tyler has come down with a cold and I'm catching it for sure. I'm definitely getting some good out of my hand sanitizer! ha! On the up-side... I got my November Elle yesterday! It was the strangest feeling to be standing there in Wal-Mart looking at myself in a magazine... but so cool! I bought a couple of copies, and my mom bought four LOL! Exciting stuff! I went to the Inspiring Women Gala at SIU yesterday (you may have noticed a picture I tweeted about it). It's an event where a handful of women in southern Illinois are honored for their service and accomplishments- and then the money raised goes toward scholarships for young women who'll attend SIU next year. It's quite a fancy event! Lots of pretty outfits, good food, fancy desserts... I went with several ladies I work with at the TV station, and one of our station's managers was honored as one of the "Women of Achievement" so that was cool! Have a great day everyone and thanks for stopping by my blog! And also, I'm very excited to try the mascara! Yeah basically the same thing as Givenchy's mascara, but WAYY cheaper haha. I watch lollipop26 on youtube and other British beauty vloggers, and this product came out for them ages ago, so I was excited to find out WHEN it would be released here! Oh and also, I went to a CCO today and got 5 Lancom eyeshadow singles for just about 20 dollars! They had a 2 for 9 dollar promotion so I got four those that, and one that was just 2 dollars on its own. I'm excited to play with these and to watch your review! we have a cato here too and i've never been in it - may have to take a gander in and check it out. i am looking forward to your review on the mascara - i saw a commercial for it and want to try it out. i may wait for your review on it. Emily, you have no idea how thrilled I am that you bought the Coastal Scents Beach Glass Gel Liner. 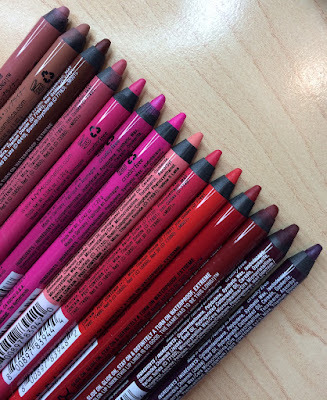 I just got an e-mail from them a couple of days ago stating the gel liners were on sale, and I went ahead and checked them out. I was automatically drawn to the Beach Glass liner. It has such a unique and beautifully vibrant tone. But, right before I purchased it I thought "Shannon, when on earth will you use this?!" So, I stopped myself. I would absolutely love to see you use this in a tutorial. It's such a gorgeous teal color, and if I could see some looks with it (especially practical, wearable looks) I'd be more inclined to buy it. Thanks for sharing all of this with us. Looking forward to the reviews and tutorials!! OO hurry & try the L'oreal Telescopic Explosion Mascara. I wanted to go and get it by the end of the week bc I have been hesitating. Is it worth it? I can't wait to see the pink gel liner in action. Ooo are you going to start filming some clothing hauls soon :-) I just bought my first two coastal scents liners, I picked out Steller and Boom Boom, hopefully they'll live up to the hype. I've been wearing the L'oreal Telescopic Explosion Mascara for about two weeks now. My first impression was that it was GREAT! I found the wand to be pretty easy to manage. Unfortunately now on the second week the formula seems to be getting "gloppier" by the day.?. I'm not sure why and I haven't given up on it yet...but I hate messy mascaras! Thank u for doing these hauls and not doing hauls on $45 lipstick or $70 eyeshadows! We can buy so much makeup at the drugstore for that price. That's why u will continue to have fans!!! Thanks soooo much!! I really appreciate it!!!! I can't wait to hear reviews about EACH product please! 1. Foundation - tough competition against the Revlon ColorStay! This one might be hard to beat. 3. Gel Liners - been thinking about trying these, but still unsure. Maybe your experience will help me decide. 4. Mascara - how funky is that new brush? Reminds me of some insect or outerspace rock. LOL It's funky, but rather neat. PLEASE let us know how you enjoy these products - even if you have to do them in 1 video! I have a cold also, and I hope that you and Tyler feel better as well. I can't wait to hear about the mascara!! The L'oreal Milla Blues eyeshadows look really pretty, looking forward to that review as well! 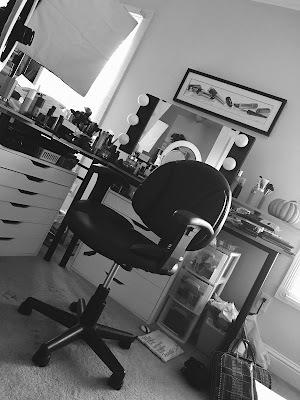 i LOVE the maybelline 24hr super stay! i think you will love if too! i do have a review if you want to check it out emily. i can't wait until you review that new mascara! it looks so much like the givenchy one but cheaper! ha ha LOVE that! I tried the L'OREAL Telescopic Explosion Mascara... and for me it was wasting my money. 1) The wand is cool, but you need some practice before you apply your mascara on your lashes and not on your eyelid or in your eye (never happend to me before with other wands). 3) I have the same colour that you bought, but on natural light it does not look black at all, it looks like grey... and in my case, my friends told me that my mascara was expired because it didn't look black but grey. 4) The price is quite expensive... I paid for it almost 15euros in Spain. I hope you can find it for a better price. This is just my opinion and like any other products, it works for some people and it doesn't for others. I am DYING to try the gel liners from Coastal Scents, so am excited to hear about how they hold up. Am very curious as to whether or not they are waterproof like the MAC ones are. Have tried the SuperStay foundation and totally loved it except for the fact that it made me look crazy shiny by the end of the day. I don't have crazy oily skin, just a bit of the combination t-zone thing going on, but this really reacted to my skin and it even turned a bit orange throughout the day. This was even worse if I used a primer, oddly enough. I even tried it with my Mary Kay oil mattifier and it didn't help much. I am personally MUCH happier with the Revlon Colorstay (even if it does smell like housepaint, LOL). i would love love to hear about your opinions and comments on the loreal new mascara, a definte must hear and buy for me. but i would like to hear your opinion first. I did see the ad for maybelline's 24 hour stay foundation and is very skeptical about it but i would love to hear what you think of it. I definitely will be waiting tohear from you.. I haven't tried any of these products! =O But I can't wait until you release your reviews on them! I also heard that the Maybelline Super Stay foundation transfers. Can't wait on your review Maybelline Super Stay 24 hr. - Please post it asap-LOVE YOUR BLOG & VIDEOS! I seen that mascara in Wally World last night and it stopped me dead in my tracks. I started to pick some up but I thought I'd wait for someone to do a review..! That brush reminds me of a miedevil torture device though.. I tried the Coastal Scents Liners and have very mixed opinions.. first I bought Silk White 8 months ago and it's pigmented, smooth, lasts greatly and is still perfect now. A while ago I then bought the black one and should really have tossed it out after a month :( After such a short time it started flaking& always I had black mini streaks all ofter my face after I touched it during the day. I loved the consistency and opacity, but I finally threw it away. The white one doesn't flake at all, and it is also filled about 1/5 of an inch higher than the black one.. so very mixed quality imo, I won't buy again I'm afraid. I'm exited when Maybelline Superstay will arrive in Europe, I love long lasting foundations the most. I've tried the explosion, I have to say, I absolutely love it!! It's really hard for me to get my end and inner lashes both on the top and bottom, but this seems to help me SOO much! I absolutely love it =]. I have never tried a coastal scents gel liner that wasn't dried out when I received it. I love the color selection they offer, but the quality isn't so great. Now I order their micas and make my own eyeliner with them. Interested to see the review i think i have the maybeline version of that round ball eye mascara and i tried it once and too much product came out of it and my eyes looked lke tammy faye baker, I had to take it off i dont think it was the same quality as the loreal one. But im sure the loreal one is better. You guys are lucky that you get to go to costco, and target, and big lots, in manhattan we do not have those stores and if you want to go to them you have go far away and typical new yorkers we never learned to drive, and so if you want to go to these places youd have to get on a special bus that takes you two hours away to a mall that has those stores, or a bus stop that leads you to those stores that runs every hour. So its not easy to get there, i have gotten some hard candy stuff from ebay, since i cant go to a wallmart. Theres some things about new york city that isnt that great, everyone sais we have great shopping but we dont have the great discount stores like other states do, its atleast not on the island of manhattan. you know that the reason there are so many dupes to high end products is because most say on the back designed in uk or usa, but made in china, like the costal scents palettes, and the BH cosmetics palettes, they are also for sale on ebay under no name, but the exact same colors are in the palettes, and its even done exactly the same way, and its the same product its just the manufacturers just put a name on the product and turn it into a brand, but they make tons of extras, in fact i was really shocked when i got the pop beauty clutch smokey eye, and i found at a wholesale place the same exact kind of clutch with eyeshadows of the same colors just without a name brand on it, and i looked at the back of the pop cosmetics clutch and it said designed in uk made in china, so those clutches that were wholesale from china for so cheap were really the exact same as the pop beauty clutch. And Lancome, Loreal and maybeline are all owned by the same people which means their products are not going to be all that different, and this happens with many brands that own many other brands, and inexpensive drugstore brands as well as higher end brands like chanel also owns bourgeois which is only available in europe but used to be at sephora a long time ago. But they do this to get all levels of income brackets that buy products at different price points and usually the only difference will be the packaging. Lancome has better packaging then L'oreal and L'oreal has better packaging then maybeline and each are reaching a different demographic, i learned all of this in school. In fact chanel # 5 was not made by chanel its made by another perfume company and its through a licensed agreement that chanel lends its nane out to that perfume company and that company manufactures and created the fragrance, and both make money that way, and this is how most of the designer perfumes are made through licensing agreements with other perfume companies. And thats another reason why they are able to duplicate things of that nature too. A lot is duplicated in the place that it is mass produced, and this is the reason for all the dupes out there. And most people do not know that one brand owner is the parent ccmpany to all these other brands under the same umbrella that reaches all price points and each brand is targeted to a specific age group, economic group and demographic and this is the way they make more money by reaching a large variety of consumers from high end to low end. And same thing with fashion as well. Like Isaac Mitzrahi lent his name to target, but it doesnt mean he designs the items that are at target under his name, he just lends his name out to them, which in a way has lowered his presence in the fashion world because he has done that, another designer who used to be high end who has lent his name out to anything and everything and really drove his name into the ground is Bill Blass, and theres many more who do that to make money and it harms their reputation as a designer, thats why licensing agreements are good in some cases like Chanel no one knows that the perfume is made by a different manufacturer and perfumier, and that was a good deal because its a great perfume and no one knows who really makes it and chanel has its name on it and chooses the packaging, but sometimes it can also degrade a persons product if they are major designers and have been on the runway, and then they lend their name out to merchandise that doesnt fit in with their previous haute couture fasion line. Atleast this is info i learned in school and its helpful to know this.